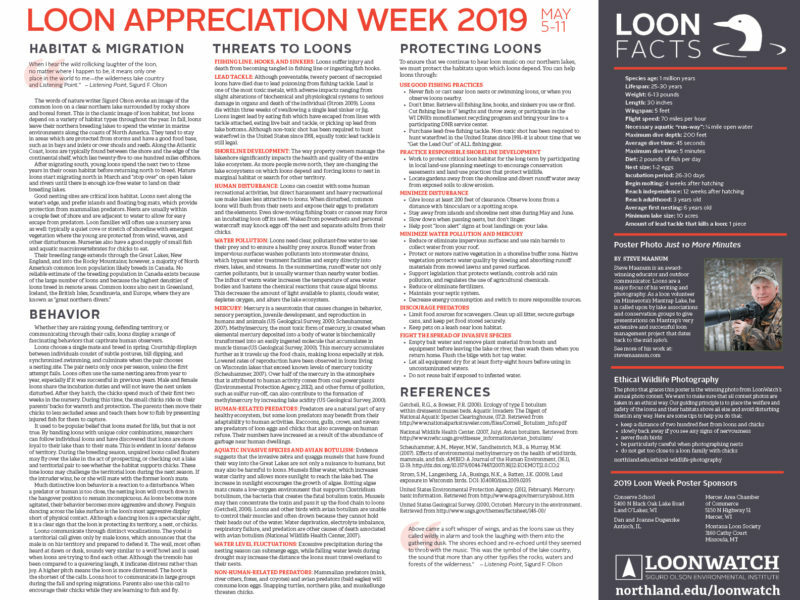 Held the first week of May, LoonWatch promotes loon education and conservation during Loon Appreciation Week by creating and distributing a new Loon Appreciation Week poster each year. 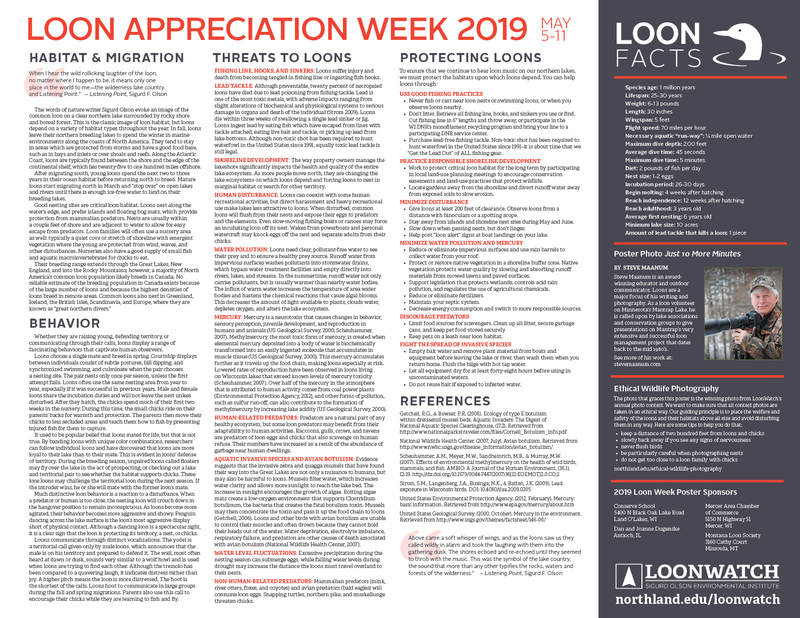 Poster are available to the public for $7 each. Order here. So where do we get all the great images for our poster? From folks like you! If you think you have a fantastic loon photo that would make a great poster image, submit your photos. 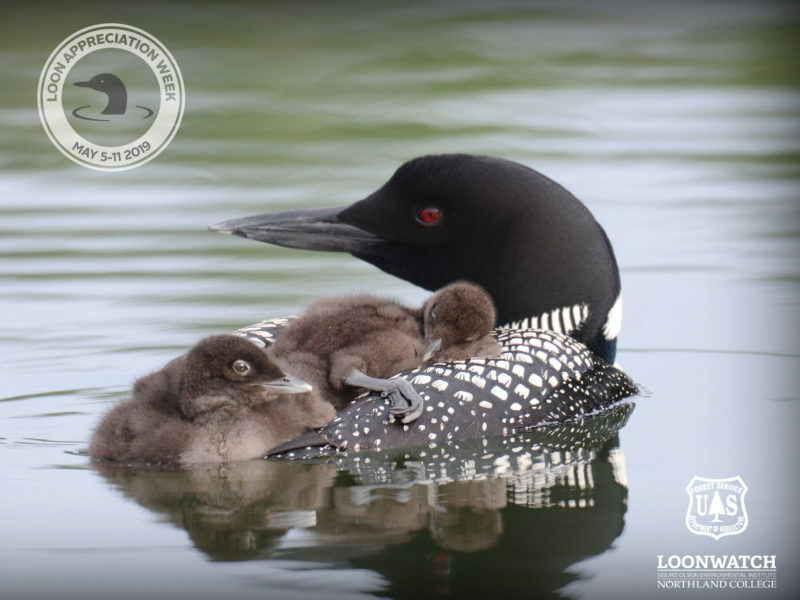 The photo contest has attracted entrants from across the country and Canada! Ethical wildlife photography required. Photo contest entry rules and guidelines.